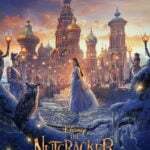 Blu-Ray Review: "The Nutcracker and the Four Realms"
Disney’s The Nutcracker and the Four Realms was by all accounts a flop, both commercially and critically. 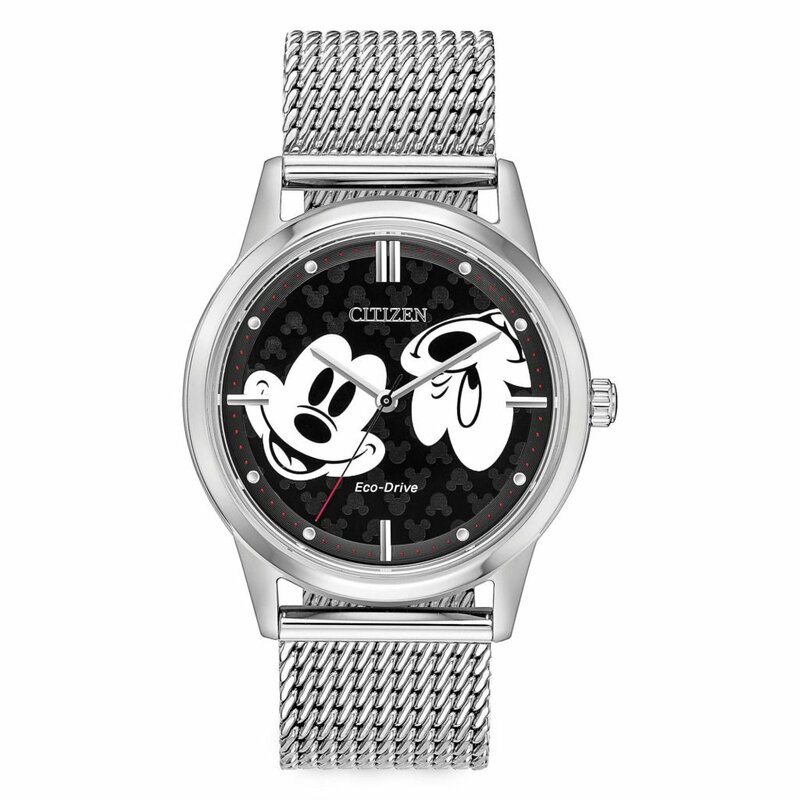 But then again, so was Hocus Pocus, The Nightmare Before Christmas, and Newsies when they were initially released and look how they turned out. Twenty years from now, audiences might ponder over why this, one of their favorite holiday films, wasn’t instantly embraced by the masses when it first hit theaters. Inspired by the fairytale by E. T. A. Hoffman and the perennial ballet, The Nutcracker and the Four Realms takes the core elements of the story and transforms them into something new and original. An all star cast including Helen Mirren, Keira Knightley, Morgan Freeman, and Mackenzie Foy lead the film, along with ballet icon Misty Copeland. With lavish sets, costumes, and digital effects, the film is a rich feast for the eyes with a world so detailed you can almost smell it. Clara Stahlbaum has just received the final Christmas present from her recently deceased mother, a metal egg-shaped trinket box without a key to unlock it. At her Godfather Drosselmeyer’s Christmas party, she follows a ribbon meant to take her to her present, which ends up leading her through a portal to the mysterious Four Realms where the key she needs is ever out of reach. She will have to traverse through a world of her mother’s creation to find the key and discover how much like her mother she truly is. Like the best fairy tales, new layers are revealed as the story unfolds. There are certainly familiar elements, particularly to The Chronicles of Narnia, but The Nutcracker and the Four Realms also dares to be its own thing. Some critics have faulted it for having too many themes, but all of them feel relevant in the context of Clara’s mother empowering her daughter with the skills and lessons that will help her in life. 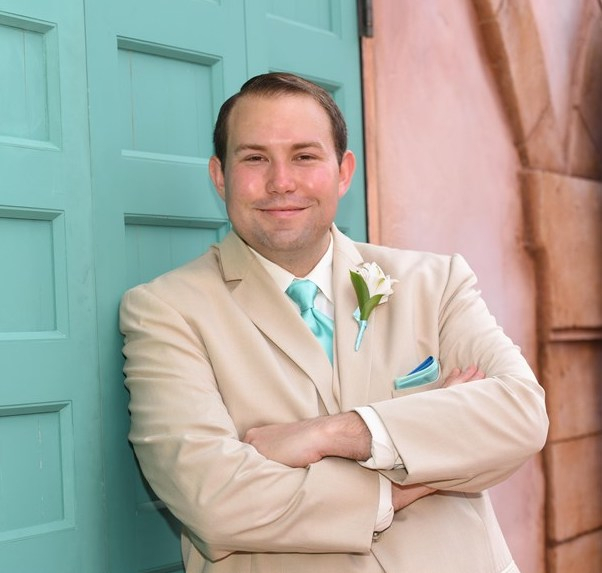 While it may seem odd to release a Christmas movie on home video almost a month after the holiday, the truth is that the holiday is more of an entry point to a family adventure that has little to do with it. This film can be enjoyed all year round, but certainly makes for a lovely holiday film that families will want to share with each other annually. This review covers the Blu-Ray/DVD/Digital Multi-Screen Edition, but a 4K combo pack is available as well. On Pointe: Misty Copeland (4:36) – The ballet star sits down to talk about her lifelong connection to The Nutcracker and her first feature film, with many behind-the-scenes looks at the ballet shoot and interviews with her partner Sergei Polunin and choreographer Liam Scarlett. The Stahlbaums Arrive (0:25) – An extended version of the entrance to Drosselmeyer’s party. Follow Your Ribbon (0:44) – Clara is distracted by a clock in Drosselmeyer’s house before following a ribbon to her present. Clara Asks About Her Mother (1:43) – An extended scene where Sugarplum tells Clara about her mother and takes her to her mother’s old bedroom. Left, Left, Left, Left, Left (0:51) – Cavalier and Harlequin refuse to admit that they’re lost in the woods. Out with the Old (0:13) – Sugarplum makes some decor decisions at the palace. “Fall On Me” Performed by Andrea Bocelli Featuring Matteo Bocelli (4:34) – A music video for the end credit ballad that features clips from the film. “The Nutcracker Suite” Performed by Lang Lang (4:06) – The famous pianist plays Tchaikovsky music set to scenes from the film. 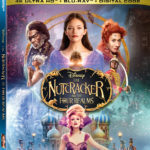 Unwrapped: The Visual Effects of The Nutcracker and the Four Realms – available through Movies Anywhere with the included digital copy code. The film looks dazzling on Blu-Ray. Many scenes feature dark or black backgrounds, which are expertly handled here. The bolder, brighter scenes also look spectacular. The sets and costumes are so lavish that you will want to soak up every detail. The primary audio mix is a 7/1 DTS-HD Master Audio track that fills every speaker. Music floats around the room throughout the film, but the track is particularly impressive during some of Mother Ginger’s early scenes, where her voice echoes around you. Other audio options include a 2.0 Descriptive Audio mix, plus French and Spanish 5.1. 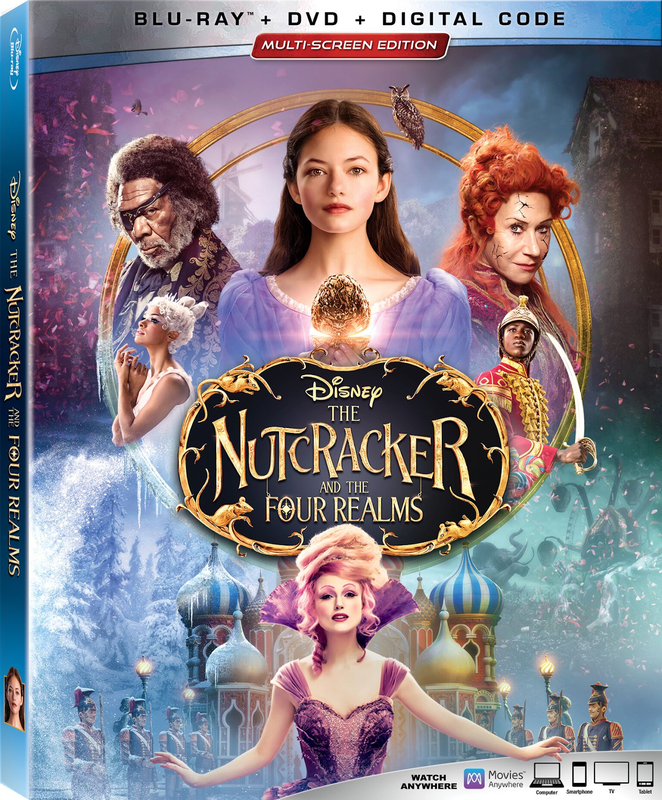 The Nutcracker and the Four Realms is housed in a standard-sized Blu-Ray case with disc holders on the interiors of both sides. Inserts include a digital copy code redeemable through Movies Anywhere that is also good for points through Disney Movie Rewards, as well as an insert for the Disney Movie Club. Both discs open with an ad for Tim Burton’s Dumbo. Selecting “Sneak Peeks” from the menu only repeats this trailer, with no additional previews. The main menu features the Ballerina of the Four Realms dancing in front of rotating scenes from the film. I enjoyed The Nutcracker and the Four Realms more than most critics. It’s full of magic and heart like the best Disney films and the added holiday theming makes it one that you will want to share with your loved ones every Christmas season. The bonus features reveal how the production use practical effects that pay homage to some of the best fantasy films ever made.